Affordable half heel for women, made of leather. 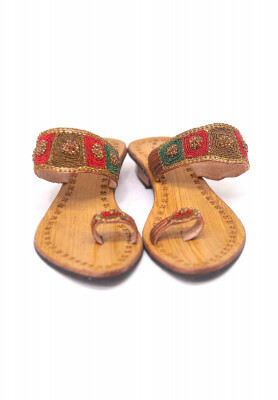 Comes with Karchupi, stone and colored shuta work on all over the body. 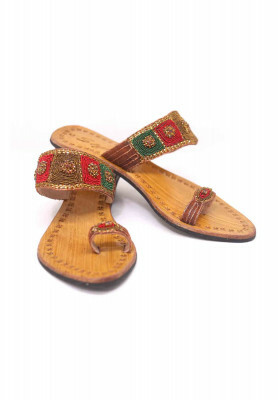 Best for wedding footwear. Product comes with 1 year warranty.